We offer specialized gas control units for many applications in the steel industry, aluminium industry and general industrial applications. Design, engineering, assembling, programming and testing of gas control Units and mass flow controller are our core capabilities. Customized solution or standard system – we are the right partner for gas control projects. Tell us about your process – we design the optimized control unit. The flox[on] mass flow controller was especially developed for use in heavy industry. The unique robustness and operational dependability of the design ensure maintenance-free operation and user-friendly controls with a maximum of load-bearing reserve. This makes it the ideal solution for pressure and flow regulation of gases in many fields of application. The measurement of the flox[on] mass flow controller is temperature and pressure compensated. Therefore they have a very high control accuracy in the lower and upper flow ranges. 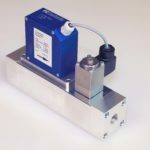 The adjustment control of the flox[on] mass flow controller uses a pressure compensated proportional valve of the most recent design. It makes it unsusceptible to pressure fluctuations in the in- and outlet. One of the highlights of flox[on] mass flow controller is a high-performance micro-controller. This guarantees an unusually quick and dynamic regulation. 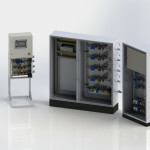 All Gas Control Units and Mass Flow Controller are developed and well constructed by FC Technik, a company with headquarters in Winterthur, Switzerland. There are activities all around the world. We offer our customers the advantages through many years of experience in gas control components and systems. Over 25 years, we have specialized in serving the metallurgic industry. 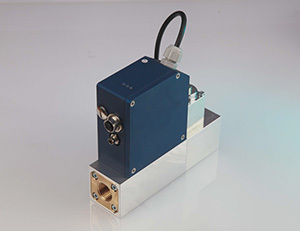 FC Technik develops and produces the flox[on] mass flow controller. These MFC´s are the core of most of our gas control Units. Our company’s collective passion is the control of flowing gases in nearly every process. Have a look at some of our projects. If you can't find what you are looking for contact us.